What would you do if you had a glimpse of the life of your dreams, only to have it all taken away from you? How could you go on in the aftermath of the most devastating loss imaginable? Deborah suffered extraordinary pain and devastation over the breakdown of her relationship and the loss of her first-born daughter. Seeking answers from the medical staff, facing isolation and despair, and navigating the feelings and discomfort of those around her, Deborah must find a way to live again, and to honour her baby’s precious memory. 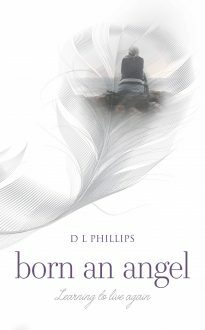 In this breathtakingly honest memoir, Deborah finally shares her story with the world, bravely displaying not only her scars, but the strength and courage she found to carry on – and the blinding, beaming light of her love for the child born an angel.